Win FREE Friskies for a YEAR! 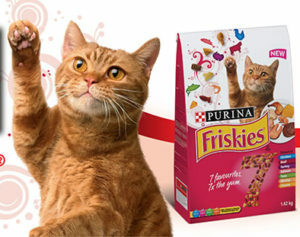 Home » Expired » Win FREE Friskies for a YEAR! Sign up to get great offers to your inbox from Purina, and you will be instantly entered for 1 of 2 chances to win free Friskies for a year. Contest ends September 30, 2018. Win Melitta Coffee for a Month! Win a Playtex Sport Prize Pack!